Ever wanted to ride to work in a screaming roller-coaster gun? If your answer was yes: good news! 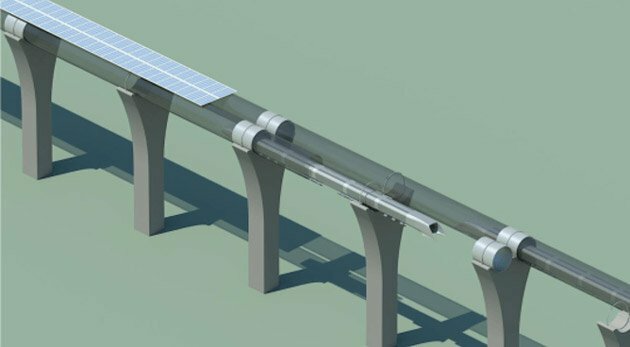 Elon Musk – of SpaceX and Tesla Motors fame – recently proposed the “Hyperloop,” a high-speed floating train that’s accelerated by magnets and coasts between destinations. Hailed as the train of the future, the concept is indeed pretty fancy. Described by Musk himself as “the fifth mode of transport,” it’s intended to provide fast and safe transit, largely self-powered with electricity generated by its own solar panels. Musk recently announced his company would build a test track in California. But I don’t think the Hyperloop is going to work well in California – or in fact anywhere else on Earth. It could, however, work quite well on a different planet. Mars, for instance. But to appreciate why, we need to take a closer look at the train in more detail. The Hyperloop train concept is based on the idea of a “vactrain.” That’s a high-speed train run in a tube that has had all the air removed, making it a vacuum – hence the name. Having no air in the tube means (almost) no drag, the aerodynamic force that pushes in the opposite direction from which a train is traveling. So a vactrain could potentially travel really fast – think thousands of miles an hour. This idea is not new; it has existed for decades. But while a vactrain sounds like a good concept, it’s relatively unfeasible to actually build. In this sense, Musk’s Hyperloop project is not a novel application of science but a novel application of engineering – using existing technology in new ways to get around the inherent challenges of a vactrain. 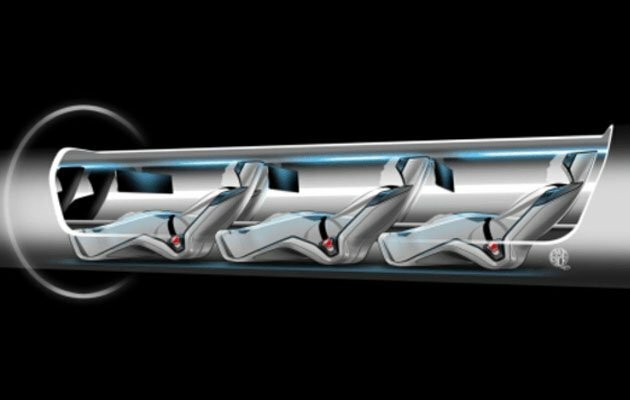 The Hyperloop concept uses small pods that hold passengers or freight as they travel through vacuum tubes, floating on a cushion of air. It’s a bit like a hovercraft in a tube. This configuration allows the train to travel very fast with minimal drag. Without going into too muchdetail, this setup overcomes many of the problems usually encountered when trying to build a vactrain. The user experience of the Hyperloop is likely to be akin to sitting in a rattling rocket. 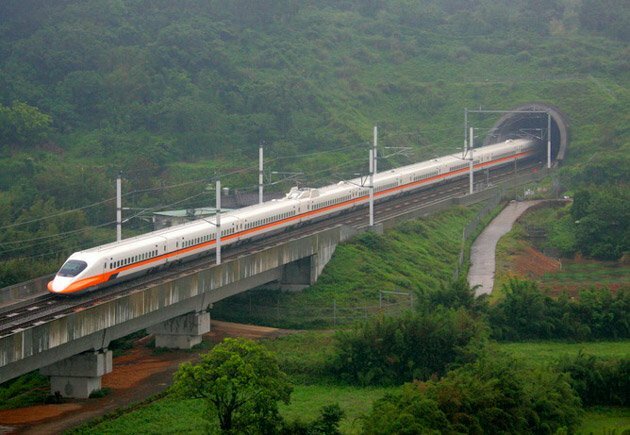 Normal high-speed trains already exist that can travel at about 300-400 mph. The Hyperloop train concept would travel faster than this because it runs within a low-pressure vacuum tube that’s had 99.9% of the air inside removed; with most of the air gone, most of the drag is gone too. The Hyperloop is predicted to have top speeds of about 760 mph. But here’s the catch. Conservative cost estimates for building a single Hyperloop track from Los Angeles to San Francisco come in at US$6 billion. Taking the technology nationwide would cost hundreds of billions of dollars more. When you consider that normal, boring airplanes already travel at about 500-600 mph – about two-thirds as fast as the Hyperloop’s predicted speed – you might begin to wonder if an extra 200 mph is enough of a payoff for those hundreds of billions of dollars. There’s certainly a niche market for faster travel between certain locations. For instance, theConcorde supersonic airliner would cruise at 1,354 mph, almost twice the speed of the proposed Hyperloop train. Passengers could make it from New York to London in under three hours. But the Concorde project was retired in 2003 because there wasn’t enough of a market to sustain it – and it didn’t have a $6 billion price tag. In short, it would be tough to get the hyperloop project to work on a national scale. Maybe there’s enough of a market to build it between a few select cities. Some riders might appreciate the environmental advantages of a self-powering mode of transport. But if you want fast and safe travel with minimal carbon footprint, investing hundreds of billions of dollars into developing biofuels for aircraft makes much more sense to me. Planes are already fast and relatively safe. They can go anywhere with ease, including over oceans. The only real hurdle is making them more renewable, an avenue toward which many are working. So why bother with the Hyperloop? Well, Elon Musk is no idiot, and he certainly has the money to hire some of the best and the brightest. Either he really thinks he can drive the costs down on the Hyperloop project… or perhaps he has a different plan? The Hyperloop project has its challenges in places that have air. But in places with little air and no fossil fuels, where you can’t fly and there’s little drag, it makes a lot more sense. Elon Musk has a habit (SpaceX/SolarCity/Tesla Motors) of trying to use his money to start private ventures that he, and many others, believe are also important to humanity. Musk has spoken about his own commercial venture to put people on Mars, and SpaceX was listed as a potential launch vehicle for Mars One, another private outfit aiming to travel to the red planet. While the Mars One project currently doesn’t seem to be going that well, such an elaborate venture is bound to have hurdles. Consider that it took the combined effort of almost every country interested in launching a rocket to get a habitat into our planet’s orbit, in the form of the International Space Station. Whatever its current status, Mars One has certainly helped rekindle a public fascination with what lies beyond our tiny blue dot. For this reason alone, I think the venture was a success. Space. The solar system. Mars. If humanity intends to continue to expand and consume, then we likely need the resources and expanse found in these places. Given the apparent setbacks for Mars One, Musk might have realized he can’t fund the mission to Mars alone. But he can certainly help develop and nurture the technology we will need when we finally arrive. A high-speed, safe, self-powered transportation system will be vital to connect Martian settlements – likely to be few in number and separated by large distances. Perhaps Mars is where this technology is really headed. Leon Vanstone is Post-doctoral Researcher at University of Texas at Austin. This article was originally published on The Conversation. Read the original article.